The tracing needs to be transparent. It may seem obvious but some tracings received are not! 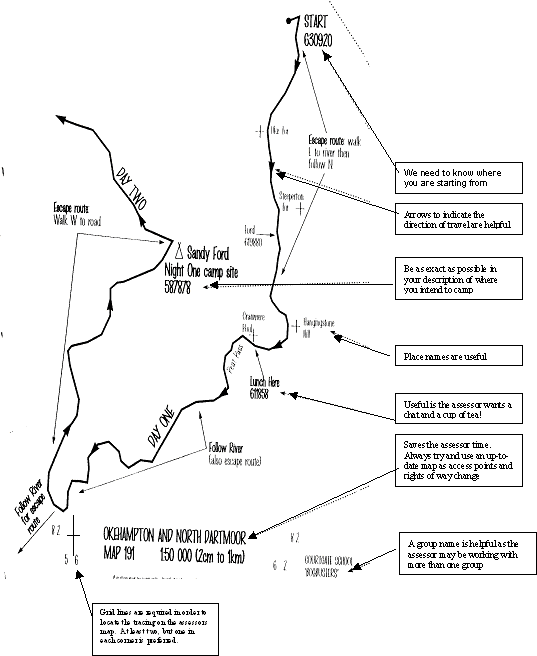 The tracing, once laid on a map, enables the assessor to see at a glance where you are going. It saves a lot of time so please make sure you do a good tracing. A separate tracing for each day can help the assessor having to cope with a sheet of tracing paper the larger than the size of their lounge carpet.